Tabon Te Keekee is perfectly located for a relaxing and simple vacation. The clear, warm, and calm lagoon lies steps from your door, ideal for swimming and leisurely water activities. It is a superb place to kite surf and other sports are also available close to our location. You can join the village football teams in the late afternoon low tides when, with a few large twigs in the sand for goal posts, the 'swimming pool' becomes a 'football pitch'. Please bring your own kite for kite surfing. Guests are invited to stroll through the village. A visit to the nearby clam farm and other attractions can be arranged. If you wish to be a little more active and explore further afield, we offer bicycles for hire. 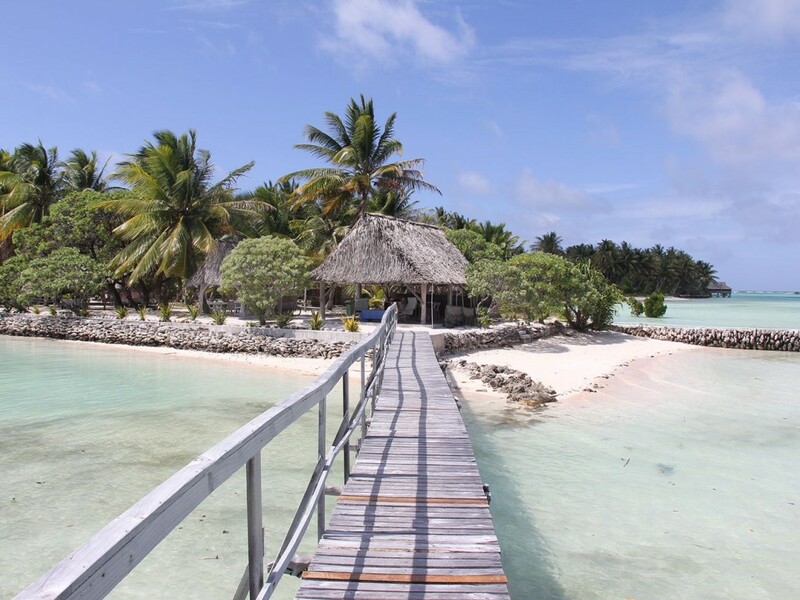 North Tarawa has many islets to discover and tours can be arranged. If all of that is too much effort for your vacation, just lie back in one of the hammocks or lounge chairs and relax, island style.